DataQuick identified 570 homes selling in Orange County’s north-inland ZIP codes in this most recent period, +12% from a year ago. Median selling price? $450,000 in these 23 ZIPs. This most recent median price change was +8.4% vs. a year ago. Mid-county ZIPs — median selling price $352,500 – had 630 sales, -12% from a year ago. In these 24 ZIPs, the freshets median price change was +4.9% vs. a year ago. Combined, total homes sales in ZIPs in the north and mid-section of Orange County were -2.2% vs. a year ago as homebuying in the rest of the county ran +31.3% vs. 12 months earlier. North/mid-county homes accounted for 57% of residences sold in the most recent period vs. 64% a year ago. 325 homes sold in beach cities’ 17 ZIP codes in the most recent period, +16% from a year ago. Median selling price? $722,500 in these 17 ZIPs. Newest median price change was +4.9% vs. a year ago. All told, countywide sales were +8% vs. a year ago. The median selling price was +15% in the past year. I can feel the hubbub of activity, and see the multiple offers on properties, but it feels good to see it in print. course. Some regions performed well in December as compared to November, others didn’t. statistics” are just a compilation of a bunch of local statistics. 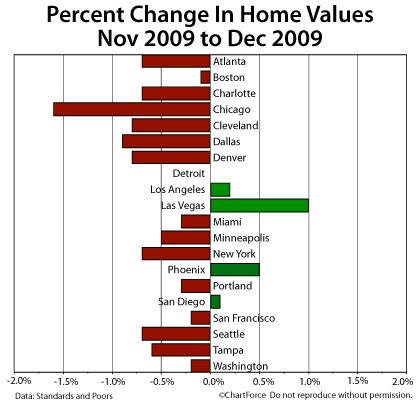 losses in other cities nationwide. not selling — and start your valuations from there. The meltdown sent interest rates soaring and availability shrinking, but rates are declining and lenders are more willing to make loans that top the limits for Freddie Mac, Fannie Mae and the FHA. Phil Kelly had 18 more months to go before the fixed rate on his $2.5-million mortgage became adjustable. But when Kelly, a former computer executive living in Rancho Santa Fe, learned he could knock his interest rate down by a full percentage point by refinancing, he went for it. Rates on jumbo mortgages — loans of more than $729,750 in counties with the highest-cost housing — shot up during the financial crisis as lenders and loan investors shunned anything tainted with even a whiff of higher risk. Rates on big mortgages were especially high relative to those on smaller loans. But in a boon for borrowers in California’s expensive housing markets, the jumbo-loan market is starting to return to normal. Two weeks ago, the average interest rate on 30-year fixed-rate jumbos dropped to 5.79%, a nearly five-year low, according to rate tracker Informa Research Services of Calabasas. It edged up to 5.88% on Tuesday, still very attractive by historical standards. The average is down from well above 7% in late 2008. Rates are even lower on so-called hybrid adjustable mortgages, on which the rate is fixed for, say, five years and then adjusts annually. Kelly’s new loan is a five-year hybrid adjustable identical to his old one, except that he’s paying about 5%, down from 6%. Banks are also relaxing slightly some of their requirements for jumbo loans. That’s an encouraging sign because the market for jumbos, in contrast with the rest of the mortgage business, isn’t being propped up by Uncle Sam. The lower rates and somewhat easier terms reflect newfound confidence among banks in the housing market. That’s because, by definition, jumbos are too big to be bought by Freddie Mac and Fannie Mae or to be insured by the Federal Housing Administration. Plus, the private market for mortgage-backed bonds dried up when the meltdown hit. So lenders making jumbo loans these days must be willing to take the risk of keeping them in their portfolios. In the boom years of 2005 and 2006, interest rates were typically no more than a quarter of a percentage point higher on jumbo loans than on conforming loans, according to Informa Research. 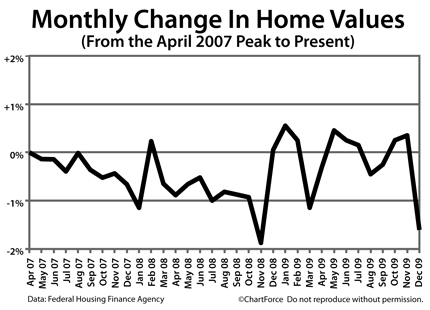 That widened as the mortgage meltdown intensified and home prices dropped in late 2007. The spread ballooned to nearly 1.7 percentage points in early 2009 after the entire credit system froze. Also, instead of a true jumbo loan, some “piggyback” second loans are available again to help certain borrowers with 25% down payments pay for high-priced homes, Lazerson said. Of course, adjustable, stated-income and piggyback loans were big contributors to the mortgage meltdown. But such provisions are less risky if a borrower has 25% to 40% equity. Despite the confidence in the market that such terms imply, lenders and mortgage investors are still dealing with piles of bad jumbos made during the boom. Delinquencies of 60 days or more on prime jumbo loans that were packaged into securities jumped to 9.6% in January, up from 3.7% a year earlier, Fitch Ratings reported this month. The jumbo delinquency rate in California climbed to 11.3% from 4.1% a year earlier. For now, the jumbo market remains limited to the volume of loans that banks are willing and able to keep on their books. But there is hope for a return to private outside funding. Although no jumbos have been turned into securities for at least two years, packages of delinquent jumbos have begun to be sold again to “vulture” investors, a sign that the secondary market for the loans may revive, said Michael Fratantoni, vice president of research at the Mortgage Bankers Assn. Saving Face, If Not the House. Alternatives are expanding. After years of talking about “preserving homeownership,” the mortgage servicing industry has a new buzzword: finding a “graceful exit” for seriously delinquent homeowners who do not qualify for loan modifications. To move these borrowers out of their homes with a minimum of delay, friction or embarrassment, Fannie Mae and Freddie Mac are telling servicers to increase the use of alternatives to foreclosure such as short sales and deeds-in-lieu. Foreclosure timetables “got a little crazy last year,” he said, as servicers held off on filing default notices or taking title to properties while offering borrowers a chance to rework loan terms through the government’s Home Affordable Modification Program. More than 30% of the seriously delinquent loans held by Freddie are backed by vacant homes, she said. Many states have courts clogged with foreclosure filings. “We’re standing in line in Florida,” Beckles said. MBA Asks for a ‘Bridge’ Loan. None of this is to say the industry has given up on keeping borrowers in their homes — or on getting more government assistance in that endeavor. The MBA unveiled a proposal Tuesday to have the Treasury Department lend money to servicers so they can grant forbearances to homeowners who have involuntarily lost their jobs. Such borrowers could get their payments reduced for as long as two years (though their situations would be periodically re-evaluated). The MBA called the plan a “bridge to Hamp”: borrowers would be considered for the loan-mod program once they found new jobs or when the forbearance period ended. During that period servicers would need to advance principal and interest to mortgage investors, taxes to municipalities and premiums to insurers. That’s where the Treasury financing would come in. “There are hundreds of smaller servicers who won’t have the cash or capital to make pass-throughs over a prolonged period,” said John Courson, the MBA’s president. The size of the proposed facility is yet to be determined. John Denney, the MBA’s associate vice president of public policy, said the Treasury had not yet committed to the proposal. This is just one additional factor ensuring that the alleged “shadow inventory” will disappear for good – in the shadows. Any buyers waiting for that prediction of a “tsunami of foreclosures” is going to have a v e r y l o n g wait. At least here in South Orange County, California. Comments Off on Saving Face, If Not the House. Alternatives are expanding. category last month — good news for homebuyers around the country. A “new home” is a home for which there’s no previous owner. all. This is nearly 2 months longer than at October 2009’s pace. prices are based on supply and demand, after all. builders, plus seller concessions and lower sales prices overall. home buying season. And from market to market, sales activity varies. That said, mortgage rates remain low, home prices are steady, and the federal tax credit gives two more months to go under contract. It’s a favorable time to buy a new OR a resale home. Are you being stymied by the “Buy & Bail” policy of your lender? I learned something interesting from my preferred lender this morning. About a year ago, enterprising people started a new phenomenon which later became known as a “Buy and Bail”. Some, who were increasingly upside down in their present home, saw how low prices were getting on a bigger or better house, ( maybe even across the street.) and so they made an offer on the new house, stating to the lender that they would be renting out their former house – a common, and valid tactic – until last year. After closing escrow on the new house, however, they simply stopped making the payments on the old one, making that lender foreclose on the property. Hence buy, ( new.) then bail. ( from the old property.) After about 6 months of this situation, lenders wised up and instituted new tougher guidelines, wherein a buyer had to have at least 25% verifiable clear equity in both properties – that qualification brought buy and bail transactions to a screeching halt – and rightfully so. This new stricter policy has ended buy & bail, but it has also stopped a lot of people who would really have rented their old place out, from being able to qualify for such a transaction. Most move-up buyers are pulling equity from their old place, to use as a down payment on the new one, and in most cases, doing so didn’t leave at least 25% equity in the old property, or provide a 25% down payment on the new property. Stymied by such a scenario? Here’s a different thought, and possible solution. If you move out of your present house, and put a tenant in it, say on a year’s lease – after 6 months, the buy & bail policy no longer applies – meaning you DON’T need 25% equity in the house you moved out of – in order to obtain your financing on a new house. So, where do you live for the 6 to 9 months it takes to establish that “seasoning”? Well, you can either lease a house for a year, and after the obligatory 6 months have passed, be in a perfect position to purchase the new house with no such restriction – and NO contingencies. OR, if you’re really lucky, you could find a house that is suitable, now, and if it’s on both the rental and for sale markets – as many houses are, these days – make them a lease option offer, planning to close escrow well after the 6 months of renting the old house. You could also put a stipulation into a regular one year lease, that, towards the end of the lease, if the owner was interested in selling, they would give you the first opportunity to buy the property. That happens more frequently than you might imagine. Looking for a Realtor capable of thinking outside the box? With over 33 years of successful local experience, it would be my extreme pleasure to add your name to my list of happy clients. Comments Off on Are you being stymied by the “Buy & Bail” policy of your lender? Case-Shiller Index Tuesday. The report shows home prices down just 2.5% on an annual basis, a figure much lower than the 8.7% annual drop reported after Q3. decline — Detroit, Los Angeles/Orange County, Las Vegas, Phoenix and San Diego. For some real estate investors, that’s a positive signal. But we also have to consider the Case-Shiller Index’s flaws because they’re big ones. key element in the economic recovery. shows that full recovery is right around the corner. 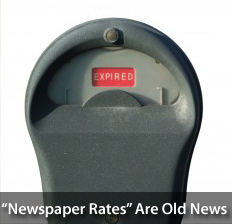 You can’t get your mortgage rates from the newspaper. Last week proved it. Again. Friday morning, headlines and around the country read that mortgage rates were down 0.04 percent, on average, since the week prior. since 1971 and is the largest of its kind. Unfortunately, rate shoppers can’t rely on it. what rates are doing right now. The Freddie Mac survey can’t offer that. cases, rates were up by even more. may just be getting yesterday’s news. The loan officer I highly recommend is a direct lender, where the entire loan is processed in his local ( South Orange County.) office, and like me, he has over 33 years of successful local experience. Give me a call ( 949-643-2100 ) or shoot me an email ( BobPhillipsRE@gmail.com ) and I would be happy to give you his contact info. “Short sales, sales of homes for less than what is owed on the mortgage, are creating a backlog of pending sales that seem to take forever to close. Here’s a definite fact: 2010 is rapidly becoming the year of the short sale. With an enormous glut of foreclosures in 2008, the Federal government stepped in and in 2009 virtually strong armed big lenders to modify loans. The problem is that not everybody qualifies for a loan modification and many successful loan modifications default again on their loans down the road. Yet, there are still a tremendous number of homeowners in trouble. Both the government and banks are in agreement, that they don’t want to foreclose unless there is virtually no other alternative. And, there is a better alternative – short sales. There are many advantages to short sales for the homeowner; including, the ability to purchase again sooner. For the lender, they get to take advantage of pride in homeownership, the homes are not dilapidated and, unlike foreclosures, do not require thousands of dollars to fix nor do they have significant holding costs. So, at the end of November 2009, the US Treasury put together a short sale directive that outlines a new process that begins on April 5, 2010, for all Fannie Mae and Freddie Mac loans. In the interim, lenders have been scrambling to address the new program and modify their current processes that have been ineffective thus far. Currently, the short sale process is NOT working and has resulted in a deluge of pending sales that take forever to close. There are currently 6,706 outstanding pending sales in all of Orange County. Of those, 4,154, or 62%, are short sales. The problem is that almost 70% have been pending for over one month. Many have been pending for months. The reason these do not close within a short period of time is because they require lender approval. And, if there is a second loan, the process is even longer. Throw in the fact that many short sale homeowners have stopped paying their homeowner association dues, and they too have to sign off on the deal if they are obtaining less than what is owed. Often, the buyer of a pending short sale grows so frustrated that they cancel and look elsewhere. The short sale is then placed back on the market and is often placed right back into pending status in a short period of time, and the wait for lender approval continues. With short sales, the buyer, seller and offer must all qualify. The buyer must qualify for the new loan. The seller must qualify to obtain the short sale – there must truly be a hardship. Finally, the offer to purchase must be at or near fair market value. With demand so hot, lenders are taking a closer look at value and not willing to sell at a major discount. The current process for short sales is an absolute crapshoot. Real estate agents, buyers and sellers enter into a pending sale with no definitive timeline. Some lenders are better than others. Some second lenders are better than others. Some Realtors® are better than others. 2010 promises to be the year of the short sale. It is the year where a lot of the distressed backlog, often referred to as the “shadow inventory,” will finally be properly diminished in the form of short sales. Yes, there will still be foreclosures. Some short sales simply will not go together. Some homeowners will just walk away from their obligations. But, banks and the government have their sights set on going the short sale route. It is in everybody’s best interest. Buyers, sellers and agents have had their sights set on short sales for about a year and half now. As 2010 rolls along, the process is going to get better and better. It will not be perfect, but it will be better than it is right now. Short sales will finally result in more successful closed sales. So, how do the rest of the Orange County numbers look? The active inventory increased over the past two weeks by 278 homes, or 4%, to 8,135. The active inventory last year was at 11,541, 3,406 additional homes compared to today. Two years ago it was at 15,392, 7,257 additional homes. 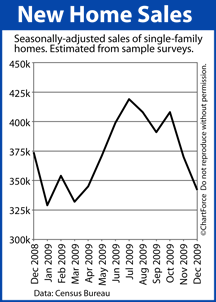 Demand, the number of new pending sales over the prior 30-days, decreased by 4 to 3,244. There are 425 additional pending sales compared to last year and 1,424 compared to two years ago. Demand typically rises at a quicker pace in the middle of February, so we will have to see if this trend continues. 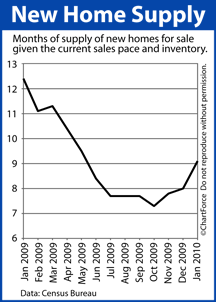 Part of the problem is that there simply is not a lot of new inventory coming on the market. The biggest complaint from agents down in the trenches is that they need fresh inventory for the many buyers that they are working. The expected market time for all price ranges in Orange County increased slightly from 2.42 months two weeks ago to 2.51 months today. At the current pace, the overall market is a seller’s market without much appreciation at all. The number of distressed homes within the Orange County housing market is keeping a lid on appreciation. On the other hand, the higher end price ranges are experiencing a deep buyer’s market, the higher the price range, the deeper the buyer’s market. The hottest price range is homes priced between $250,000 and $500,000, with an expected market time of 1.75 months. Contrast that with homes priced above $4 million with an expected market time of 33.89 months. The active distressed home market, all short sales and foreclosures combined, increased by 54 homes to 2,705. The number of foreclosures within the active listing inventory increased in the past two weeks from 377 to 380, a gain of only three. rates to rise for the second week in a row. Last week was a bad week to float a mortgage, to say the least. Rates rose by the largest margin in any week since late-2009. announcement to raise the nation’s Discount Rate to 0.75%. Both sparked risk-taking on Wall Street and bonds sold-off as a result. Loose Monetary Policy is over. This week, there’s a lot of economic data set for release. With markets already on edge, any better-than-expected results should be bad for mortgage rates. protect against any further deterioration in price.